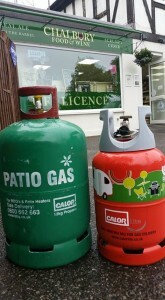 Being at the heart of a popular holiday destination, we have a wide range of propane and butane gas from Calor. We stock a number of different bottle and container sizes which can be bought as new or as an exchange or refill. We also stock camping and patio gas for those going campoing or caravanning in the area. We also offer a range of compatible piping and regulators, disposable gas canisters and cartridges, and disposable barbecues and charcoal in the summer.